People do a lot of things they’re gonna regret on Whiskey Wednesday’s. 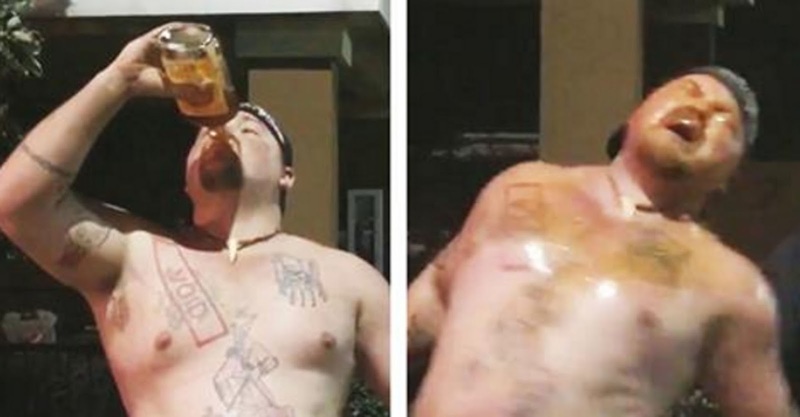 Take this redneck for example, who decided it would be a fantastic idea to chug almost a whole bottle of Fireball whiskey right before getting pepper sprayed in the face and finally being tazed. Yeah, it’s that kind of crazy we’re talking about folks! Take a look at the video below and see what is… the peak of human ingenuity.